Sommeth “Dano” Yuvasuta started his music experience as a clarinetist in Saint Dominic School Marching Band. During that time with the band, they won many national and international titles both in marching and concert area. He began his percussion life at age 16 in Trium Udom Suksa School Marching Band, one year before he continues his higher education in percussion area in Chulalongkorn University. 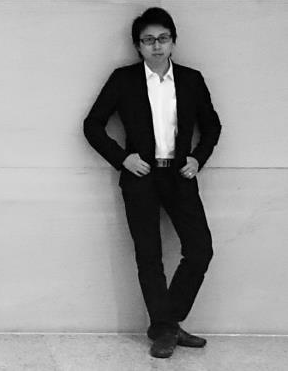 He’s an ex-member of Chulalongkorn University Symphony Orchestra, Thai Youth Orchestra and Siamyth Drum and Bugle Corps. He started his percussion teaching career at Bodin Decha School Marching Band in 2001. Under his direction, Bodin Decha School Marching Band won 6 national champion titles, 2 international champion titles and many best percussion awards. After 2008,he’s being a band director, program coordinator and percussion instructor for many bands and groups throughout Thailand, Malaysia and Hong Kong which got many national and international champion titles with best percussion award almost every time. In 2011, he founded a group called “Rogue Music Corps”, a group of dedicated educators who want to help underprivileged children with music and marching activities. In 2016, he found a Thailand Band and Winter Guard Federation to increase the potential of band activities in Thailand. In April 2017, with a collaboration with Ministry of Culture of Thailand, he found a “Thai Youth Winds”, an official representative of Thailand for band activities. Dano’s now working as a vice president of Thailand Band and Winter Guard Federation (aka WAMSB Thailand). He is also a Promark Drumsticks and Evans Drumheads artist. He still travels around to share his passion and knowledge with kids around the continent.